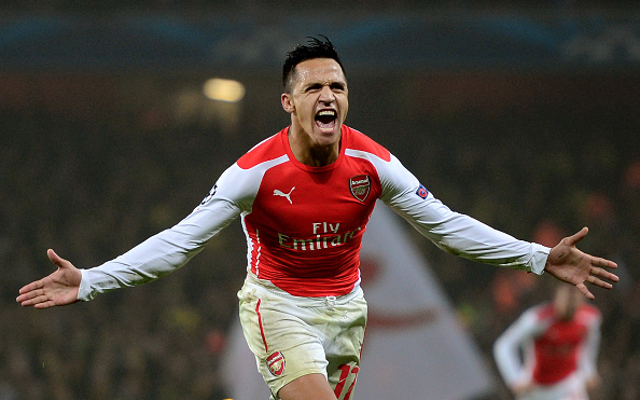 Arsenal have often been accused of being a one man team this season as Alexis Sanchez has single-handedly put Premier League defences up and down the country to the sword. 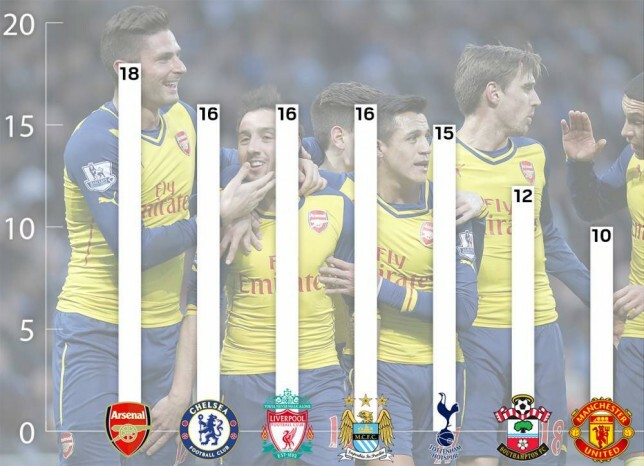 According to statistics published in Metro though, Arsenal have had more goalscorers than any other Premier League side. A total of 18 different players have netted so far this season for the North London club including Yaya Sanogo, Danny Welbeck and Per Mertesacker. Even Barcelona are languishing behind the English side having had 17 goalscorers so far. Premier League sides such as Manchester United will be disappointed to see themselves with eight fewer players hitting the back of the net having splashed the cash on talent such as Angel Di Maria and Radamel Falcao in a summer spending spree adding up to £150m.